If you take your laptop with you when you travel it can get stolen. Often when a laptop gets stolen the thieves don’t go to the trouble of re-installing your laptop. If you install IP-tracking software you might be able to locate its position when the thieves (or people who bought the device from the thieves) boot it. You would still have to go through the trouble of convincing law enforcement that it is your laptop but that is outside the scope of this post. 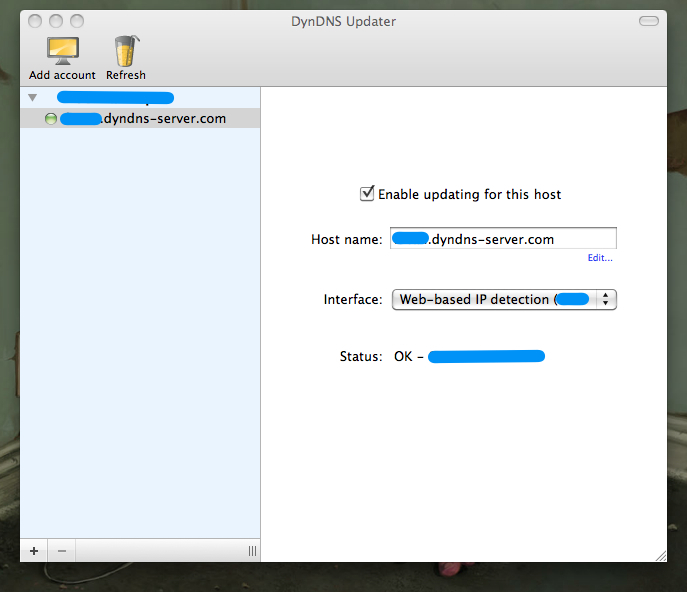 I use a free service from DynDNS to keep track of my IP. I use an Apple Powerbook, so this post is written for an OSX device. As a first step you will have to go through the quick registration process. After registration you need to sign in and register a hostname for your laptop. 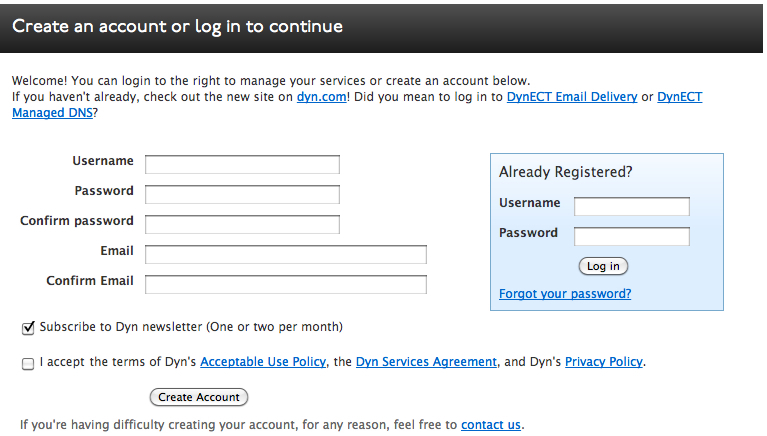 I suggest that you save your DynDNS registration data and hostname in a safe place (that means, not ‘on’ your laptop) so you can access it afterwards. 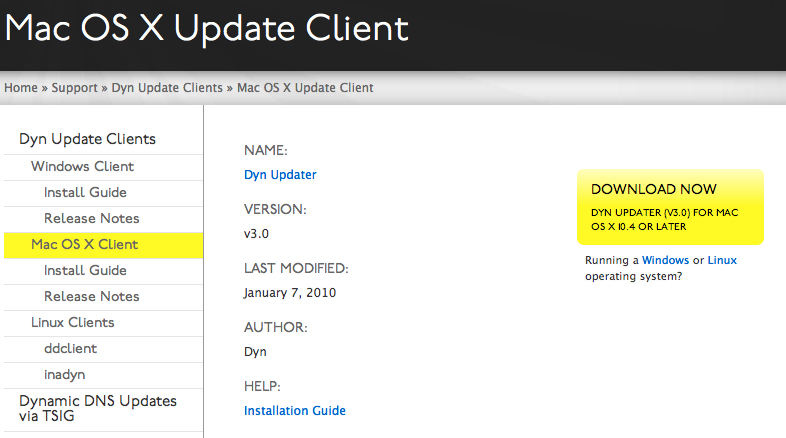 Then download and install the DynDNS client. Once you have installed the client you will need to add your credentials. Once the client is installed and you have entered your credentials it will automatically update it’s public IP and you’ll be able to locate its position.